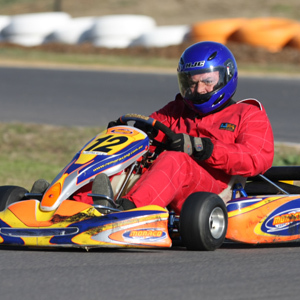 Kart racing, or karting, is every bit as professional a sport as any other form of auto racing. While many people experience karting as a one-time experience at an amusement park, there are also professional kart racers who then become, in turn, some of the best-of-the-best in the car racing arena. In fact, most professional Formula One drivers were selected by their teams for their superb performance at karting races and championships. Even if you are not of age to legally drive a motor vehicle, karting is something that you can do legally if you are 8 or older. Kart races are regulated internationally by CIK-FIA (Commission Internationale de Karting – FÃ©dÃ©ration Internationale de l’Automobile), which also organizes and conducts the prestigious annual Karting World Championship. Many professional kart racers start their training at a very early age, even as young as age 4 (the age limit of 8 refers only to professional karting as a motorsport). This is not surprising: karting is as much an art as it is a sport, and like any art, people who start the earliest generally have the best shot at becoming aces in their field. Besides the international regulatory powers of CIK-FIA, there are also many local, regional and national karting associations and organizations that promote the sport and facilitate various karting tournaments and events, as well as establishing standards and regulations. Among them are the International Kart Federation (IKF), the World Karting Association (WKA), the Australian Karting Association, the Motor Sports Association (in the UK), and the Karters of America Racing Triad (in the United States). It is up to organizations such as these to lay down the framework for professional kart racing in their respective jurisdictions. Even if kart racing, with its high-performance machines and very high speeds, doesn’t sound all that exciting to you, there are many “safer” opportunities to enjoy the activity of karting in a relaxed environment as a pastime.